Cana barn is one of the great henges aligned from the Devils Arrows in Boroughbridge to the great henge complex at Thornborough. 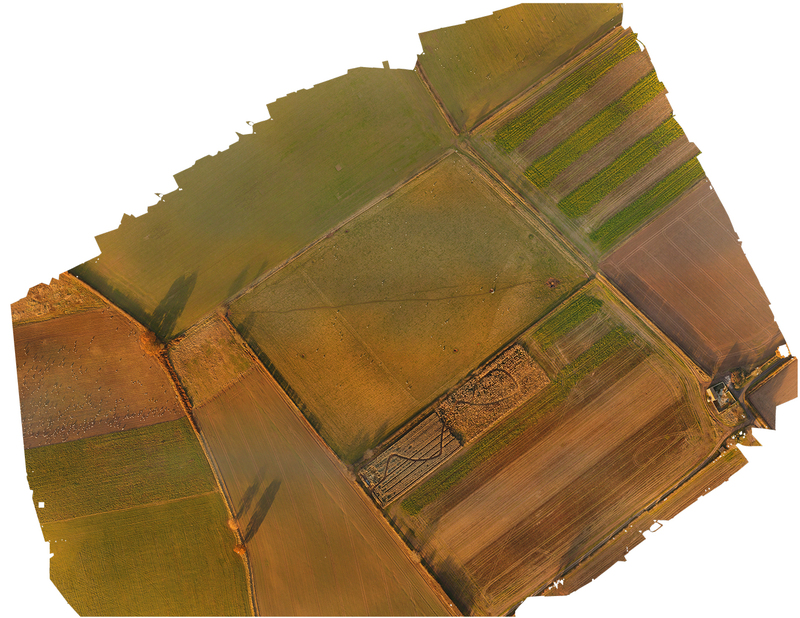 Although Cana Henge is barely visible on the ground a good image is captured using normal aerial photography. 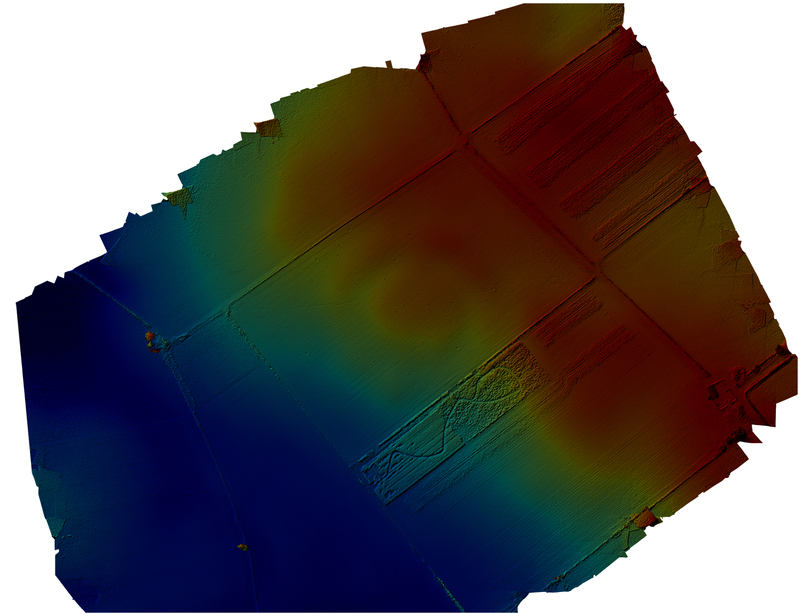 When the elevation image is processed the results are remarkable and reveal this huge neolithic temple in all its glory. Read more about Cana Henge here.